Book transport to 3rd February London demo – NHS IN CRISIS – FIX IT NOW! Book your coach seats now for 4th October Demo! The result of the General Election means that austerity will carry on with a vengeance. Welfare, the NHS and local services all face further cuts. The government will also press ahead with the agenda of privatisation of our public services. 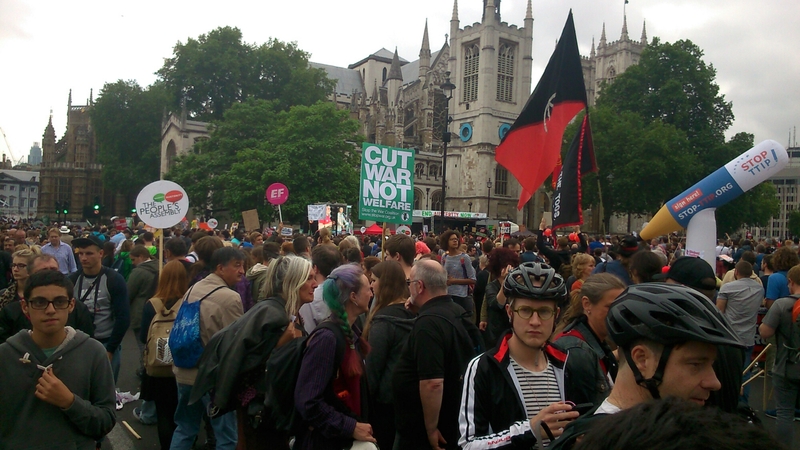 We joined the huge demonstration in London on 20th June to start protesting against these policies – now come to this meeting and join the debate about how we can fight back and build a movement against austerity. Mass Leaflet – End Austerity Now! Saturday 13th June , meet 12pm – 2pm under the railway bridge in Southend High Street. All welcome to join a mass leaflet in Southend High Street to publicise the 20th June national demonstration. Southend Against The Cuts is booking transport to the demonstration against austerity in London on 20th June. We hope seats will be £5 return. Lobby Southend Council 6pm, Thursday 23rd April. Meet on the steps of the Civic Centre in Victoria Avenue. Staff and service users have mounted a campaign to save a mental health therapy service being axed by Southend Council. The cuts were hidden in this year’s council budget but will cost five jobs and slash a service which many people with mental health problems and their carers rely on. 11am – 1pm, Saturday 18th April. Meet under the railway bridge in Southend High Street. This is a session of petitioning and leafleting organised by 38 Degrees and Keep Our NHS Public. it is part of a national day of action. The TTIP trade treaty threatens to open up the NHS and other public services to even further privatisation. Global companies could be able to sue governments for stopping them making a profit! Save Mental Health Therapy Services! Southend Council plan to cut a service offering support for people with mental health problems and their carers. Southend UNISON together with service users has organised a petition to the Council. Join us from 11am till 1pm on Saturday 11th April under the railway bridge in Southend High Street to give out leaflets and collect signatures on the petition. The petition is aimed at the council meeting of 23rd April so we need to get as many signatures as possible. All welcome to these events to help save this vital service!